We would love to get your child registered for our children’s programs. Please go to one of our computer check-in stations and our team will be happy to help you! Once registered, the express check-in / check-out process is quick and secure. We look forward to having your kids join in on all the action, exciting services, and age-appropriate classes. Kids Church and Early Childhood services will be held simultaneously with adult service times at each of our campus’. 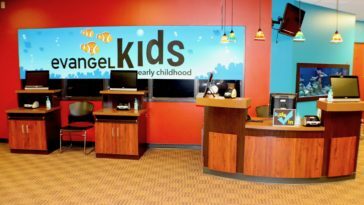 Evangel Early Childhood is an undersea adventure with music, Bible stories and fun in age-appropriate classrooms. Your children will experience God’s love and start learning how to love God, love one another and serve the world! We partner with parents and provide music and links to add to your family time during the week. 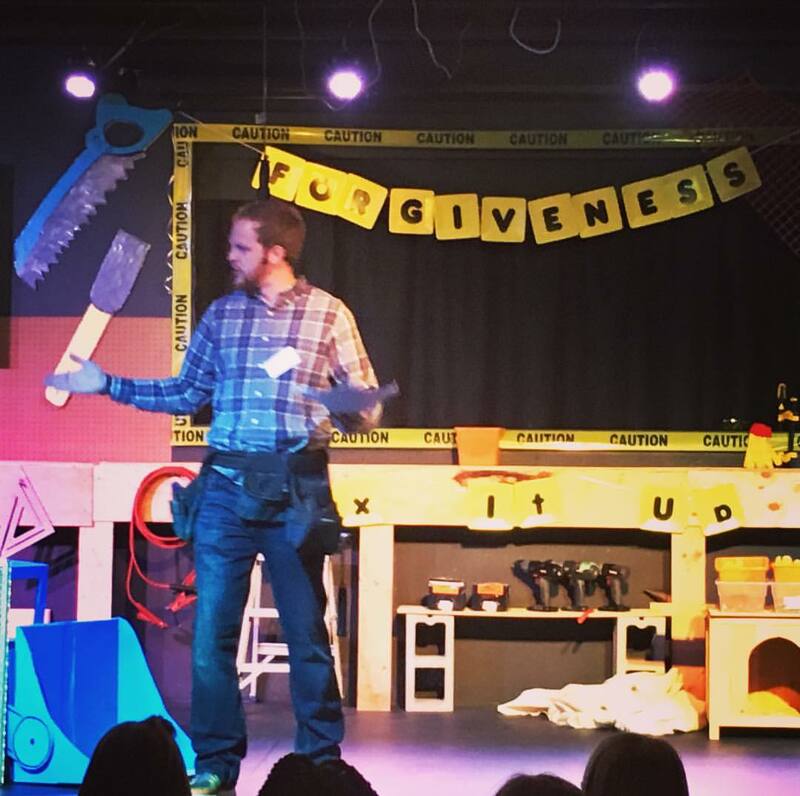 On Sunday mornings our Evangel Kids experience energizing worship, puppets, wacky characters, relevant Bible teaching, and a powerful small group time. Each month we focus on a different LIFE APP. A life app isn’t something you have on your phone or tablet, but rather a practical application of God’s truth that helps kids win in their everyday lives. We will be connecting Biblical insights and principles to a kid’s real world. They will learn what it looks like for someone to reflect God’s image and follows Jesus. Our goal is to partner with parents by providing weekly emails, devotionals, and parenting resources. Check us out on Facebook, Twitter and Instagram. Wednesday nights are full of fun and faith in Evangel Kids Elementary! REBOOT is where Evangel Kids get their mid-week power up! Each Wednesday night, leaders and children will begin together with worship and re-introduce this week’s bottom line and Bible story. We continue the conversation that was started on Sunday so that children can focus on the application of God’s Word to their everyday lives. After large group, children break out into grade and gender-based small groups where they get to do fun games, creative activities, and engage in strategic prayer. If you are interested in volunteering contact Pastor Sara.